Season five begins years after the Mikaelson family absorb the Hollow’s dark energy and flee New Orleans to keep their city and Hope safe. Meanwhile, Vincent and Josh preside over the Big Easy while Hayley and Freya send Hope to the Salvatore School. The danger seems contained until a tragedy forces the siblings home, which makes the closing chapter of this family saga as emotional as ever. When a mysterious disappearance brings Klaus to New Orleans, Hope looks forward to the prospect of seeing her father again. Elsewhere, Marcel returns to New Orleans. Frustrated by the search for Hayley, Klaus takes hostages from the New Orleans supernatural factions. Freya checks on Hope, and Vincent seeks guidance from Ivy. 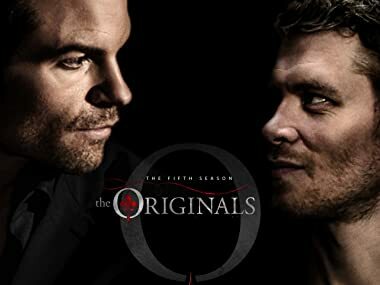 Klaus is one step closer to finding Hayley, Antoinette opens up to Elijah, and Marcel’s decision puts him at odds with Klaus. Finally, Hope takes matters into her own hands. As pressing matters rage on in New Orleans, the Mikaelson siblings find themselves forced to set aside their differences and work together to escape a 'chambre de chasse.' Joseph Morgan, Daniel Gillies, Charles Michael Davis, Riley Voelkel and Danielle Rose Russell also star. Klaus turns to Davina for help to learn more about Hope’s affliction. Freya and Keelin make a tough decision about their future, while Elijah confronts a past memory of Hayley. Klaus seeks help for Hope from Caroline, and Elijah has a heartbreaking realization about his niece. Meanwhile, a run-in with Alaric Saltzman throws a wrench into Klaus’ plan.